The latest version of the Firefox web browser is out. Despite Firefox 60 being a perfectly round number, this isn’t really a milestone release, especially compared to Firefox Quantum which dropped a few months back. Still, there’s some nuggets worth getting excited about. Perhaps the biggest feature dropping in Firefox 60 is support for the WebAuthn standard, which allows you to authenticate against online services using a hardware token, like the ubiquitous Yubikey. Essentially, WebAuthn is a set of anti-phishing rules that uses a sophisticated level of authenticators and cryptography to protect user accounts. It supports various authenticators, such as physical security keys today, and in the future mobile phones, or biometric mechanisms such as face recognition or fingerprints. When your YubiKey is plugged in, the website will read it and automatically log you into your accounts. Given the security deficiencies of password-based authentication, and the inherent issues within SMS-based two-factor authentication, I’m glad that Mozilla is throwing this much effort into bringing WebAuthn to its audience. Put simply, hardware token-based authentication is best. It’s the most secure. But the success of this isn’t really something Mozilla has any control over, and largely depends on how it’s adopted by consumers and websites alike. One of the most exciting features in Firefox Quantum is Stylo: a brand new CSS rendering agent written in Mozilla’s Rust programming language. Even if you’re not a programmer, there’s plenty to get excited about with Stylo. It’s built with parallelism in mind, and unlike other rendering agents, is able to split its work across multiple processing cores. On the desktop version of Firefox, Stylo has brough some impressive performance gains. It’ll be interesting to see how this works on the mobile version, especially when you consider that many contemporary smartphones and tablets have eight, ten, or even twelve processor cores. Mozilla also said it’s going to start using Stylo to render UI elements on the desktop version of Firefox. It’s not clear how great a performance boost that’ll offer though. Let’s ignore the fact that this sounds like an acid funk band from the 1970’s (it does). Essentially, this is where Mozilla recommends relevant content from Pocket (which it acquired in February of last year), and shows you the sites and pages you’ve visited recently. New Tabs got a bit of love from Mozilla in Firefox 60. “Top Sites,” which are what they sound like, are more prominent. The number listed has increased from six to eight. As part of our exploration into new models that can support high quality content on the web, users in the US may now see an occasional sponsored story within Pocket’s recommendation section on New Tab. It’s part of our focus to deliver personalization, without sacrificing user privacy. What’s unique is that all the recommendations happen on your computer, meaning neither Mozilla, Pocket, nor sponsors receive a copy of your browsing history. Mozilla has been aggressively targeting the enterprise world of late, in a desperate attempt to claim this turf from Microsoft and Google. 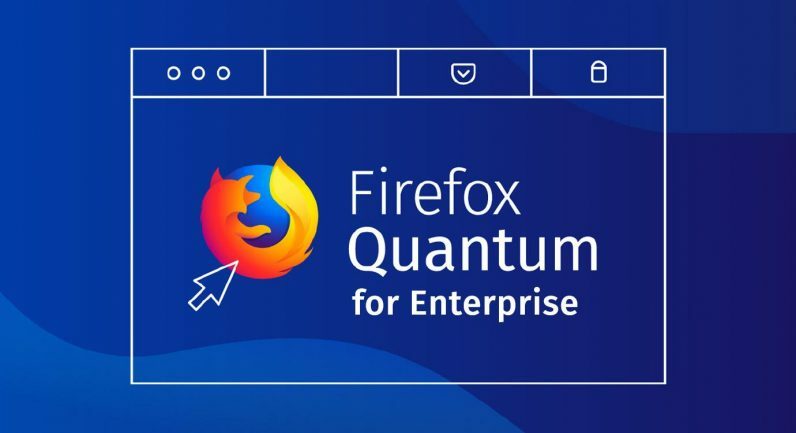 Not too long ago, it released a beta business-oriented version of Firefox Quantum. This effort is taking a clearer shape in Firefox 60. Mozilla is eager to tout its administrative controls, and how it can be customized via Windows Group Policy, or by manually editing a JSON file. The company has also highlighted two new “streams” of its business version. The standard Rapid Release (RR) gets feature updates at the same pace of the consumer version, while the Extended Support Release (ESR) is essentially Firefox’s Long Term Support (LTS) product. The ESR gets feature updates once every year, although Mozilla pointed out that both versions will get security updates as they are released. The purpose of the ESR is ostensibly to offer stability to businesses who typically take longer to respond to change. I’m pretty evangelistic about Firefox, and for good reason too. In addition to being one of the fastest browsers around, it’s arguably one of the most forward-thinking. If you want to check out Firefox 60, it’s available from today. You can grab it on Windows, macOS, and Linux here. On Android, you can grab it from the Play Store.